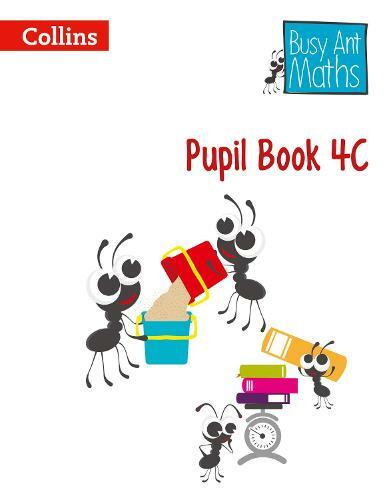 "The Busy Ant Maths Pupil Book 4C contains three levels of differentiated challenge built-in to each lesson as well as extra consolidation and extension activities to ensure rapid progression for every child. Used in conjunction with the Teacher's Guide, Progress Guide and Homework Guide, this book is the best way to ensure that pupils achieve all the learning objectives of the new Primary Maths National Curriculum." I received some sample Busy Ant materials and was very impressed, yet again the resources were of high quality and supports children's understanding in an engaging way. The resources matched the national curriculum really well and have clear progression across units of work. The lessons have opportunities to be differentiated in 5 ways and the units are flexible and give teachers the opportunities to be creative. I am extremely impressed with the online planning tool and am really looking forward to implementing this scheme of work across years 3 and 4 and then into years 1 and 5 next year.